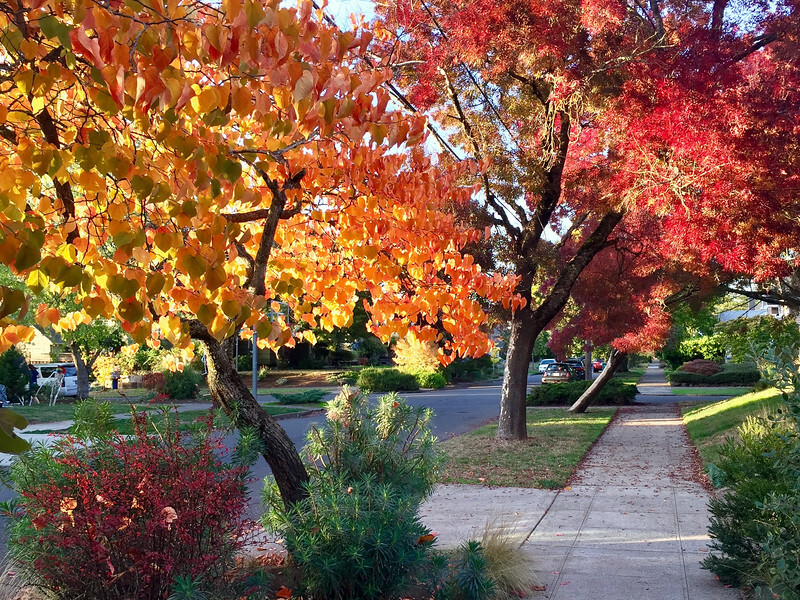 I hope you've been enjoying the fine fall finale we've been having—I sure have! This time of year, I take notice and appreciate the evolution of plants known to me, as well as others that aren't yet on my radar—prospects for adding to my palette. The kaleidoscope of fall foliage color delights for sure, but that's wrapping up around here: the deciduous trees are just about done shedding their leaves. 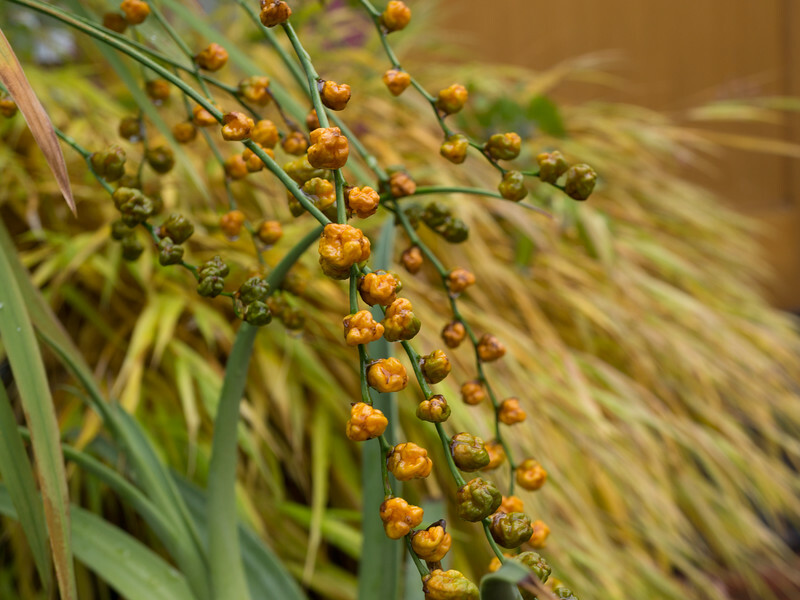 Late in the year, with less going on in the garden, I'm more apt to notice and be reminded of plants that have may have dropped off my radar or are new to me. 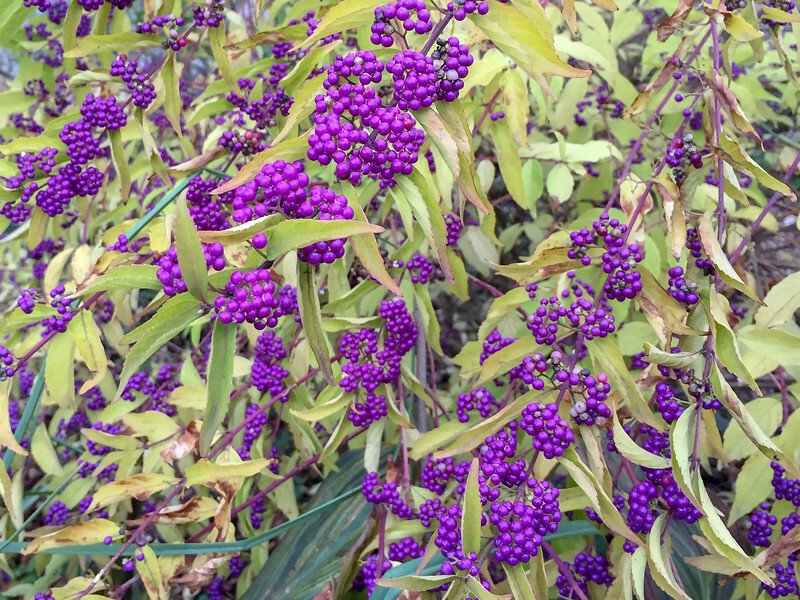 For me, the delights of autumn include plants that put on a good show of fall color—trees, shrubs, and even some perennials. As fall fades into winter, berries and drupes, bark and stem, and even the dried remains of summer blooms—they all hold intrigue for me. 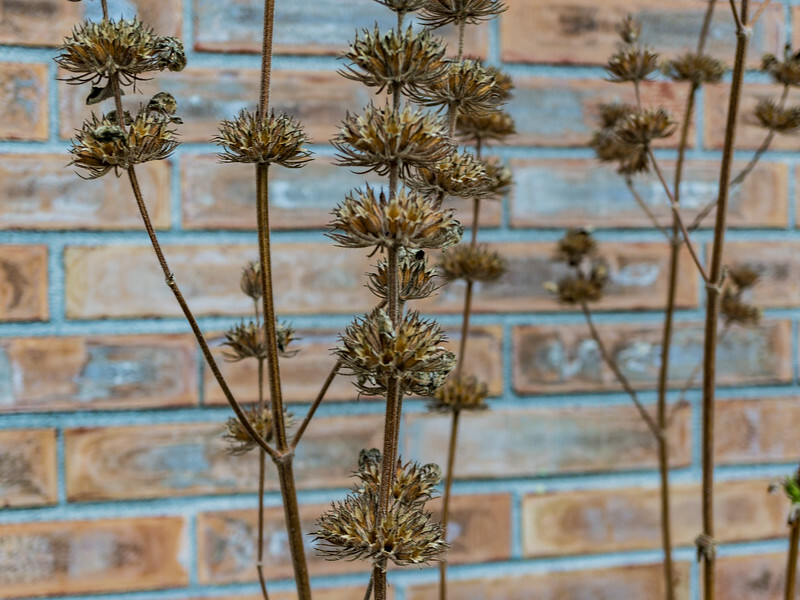 In truth, keeping your eyes open throughout the year is an excellent way to make sure your garden has plants that will bring you joy every month of the year. 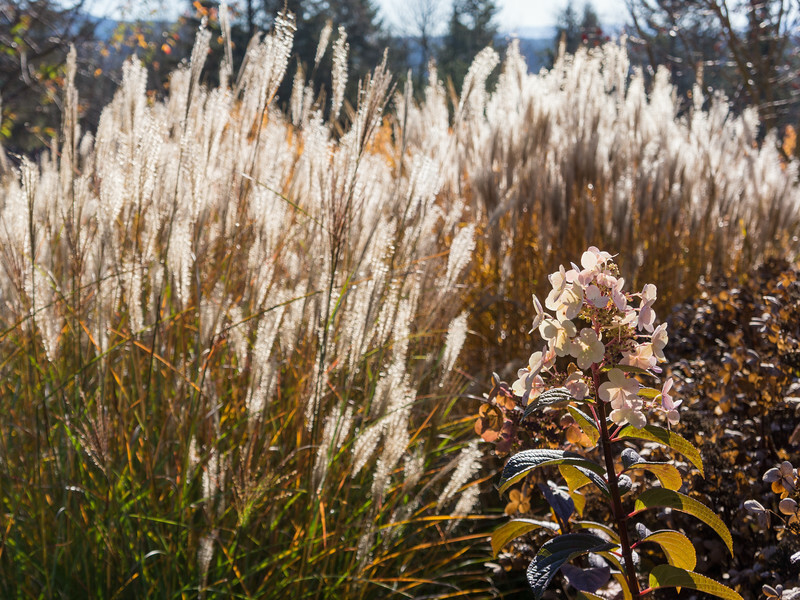 Miscanthus sinensis 'Adagio' (back) with dried bloom of Hydrangea paniculata 'Bulk' Quick Fire™ in the foreground. 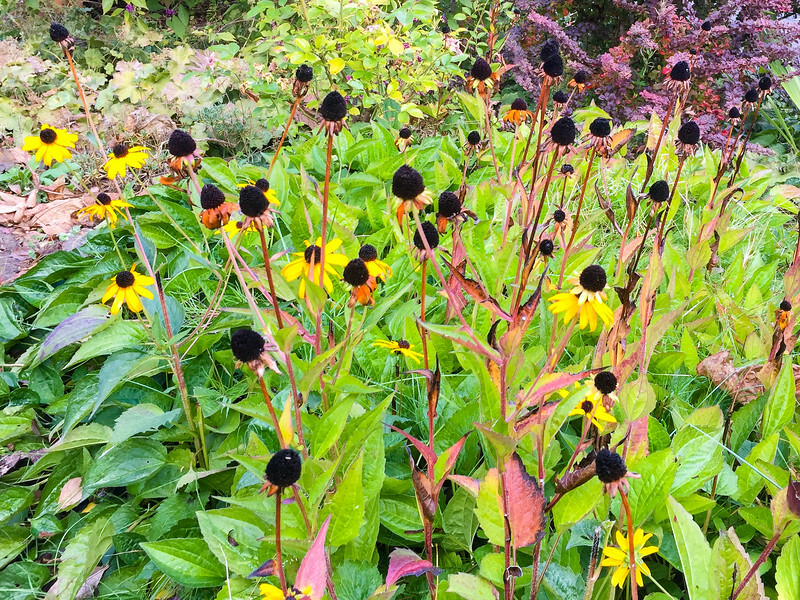 Dried seed heads of black-eyed Susan (Rudbeckia). 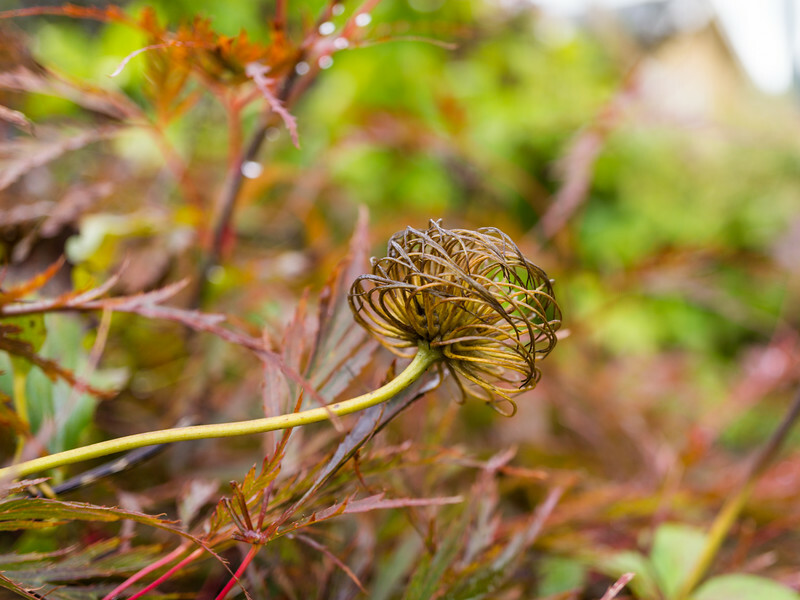 Dried seed head of Clematis 'John Warren'. Glorybower's Showy Fruit. 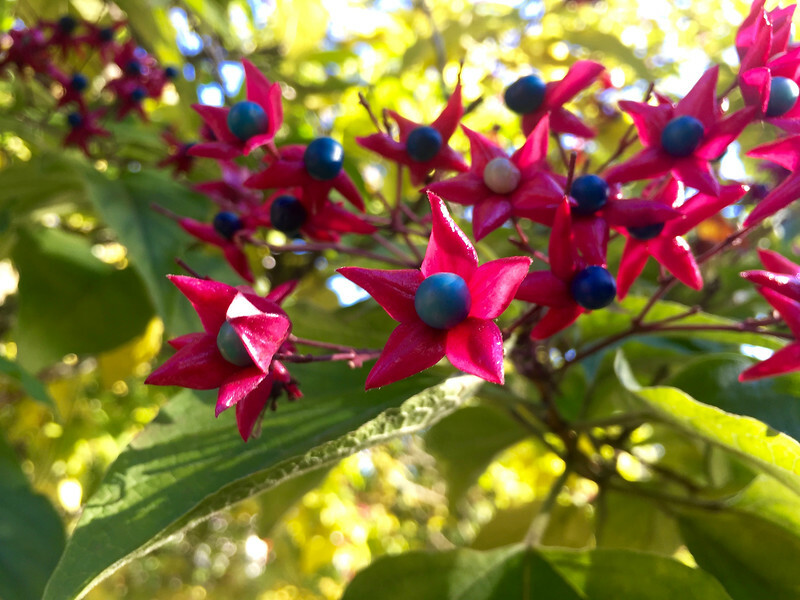 This late season show of Clerodendrum trichotomum, aka glorybower is sure to bring a smile. Phlomis blooms keep on giving–one of my favorite everlasting perennials for a sunny garden. 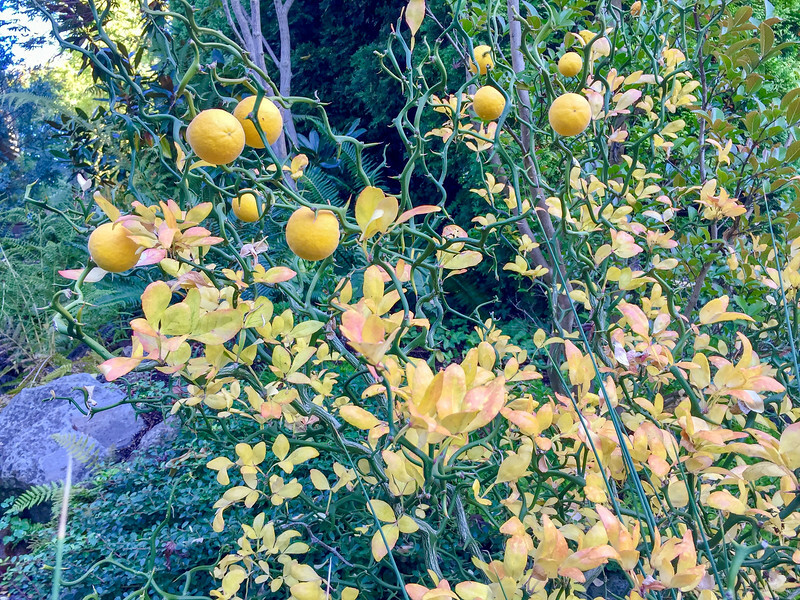 Poncirus trifoliata isn't a common sight around here, especially with fruit. The fall color on the Cercis canadensis 'Forest Pansy' was amazing this year. 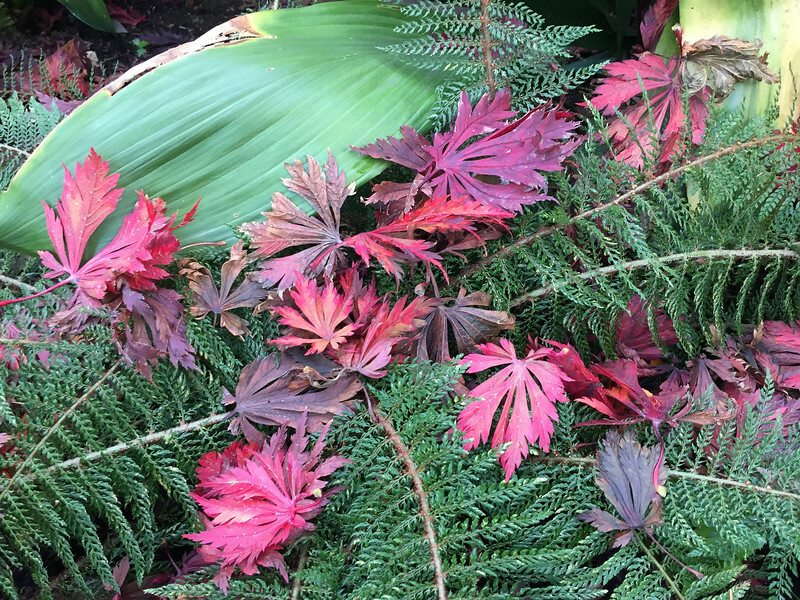 A soft landing—fallen red foliage on a bed of green ferns. 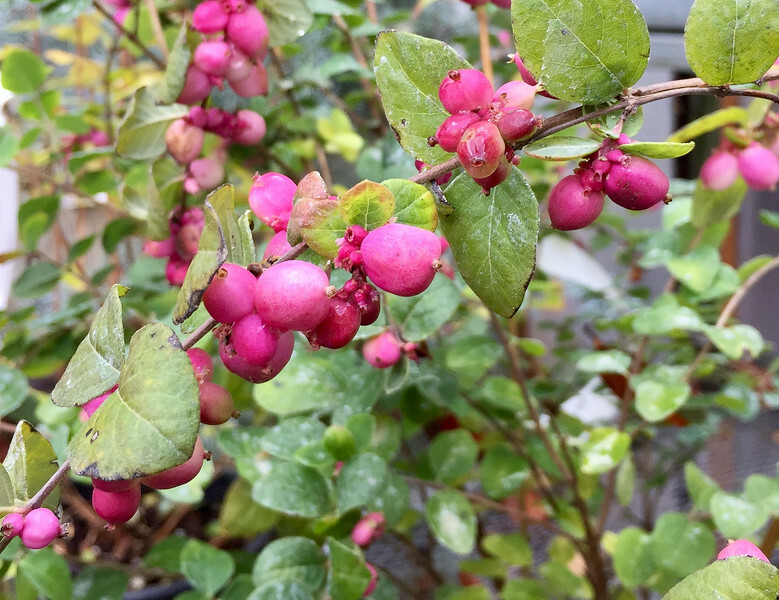 Symphiocarpus 'Magic Berry': a delightful form of our native snow berry–both flowers and berries are reported to be pink. 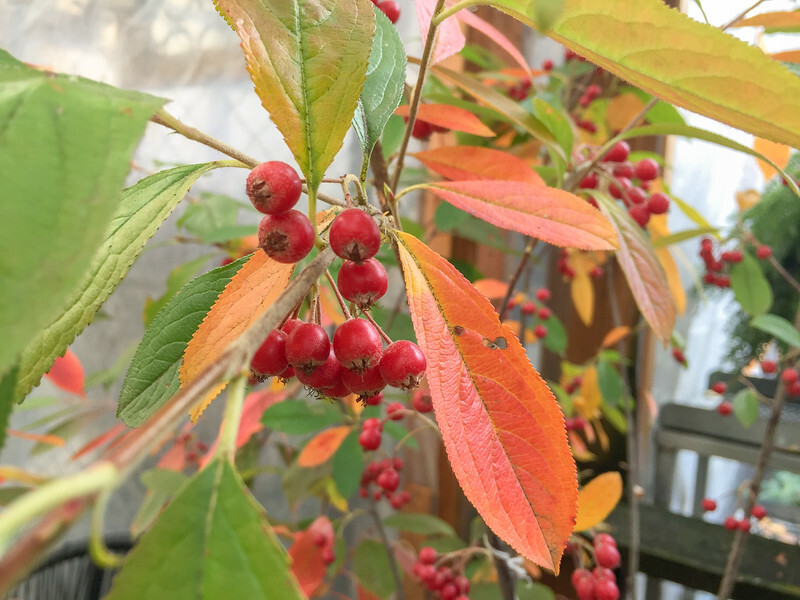 Red berries and good fall color of Aronia arbutifolia add interest to the garden in fall, lasting into winter. 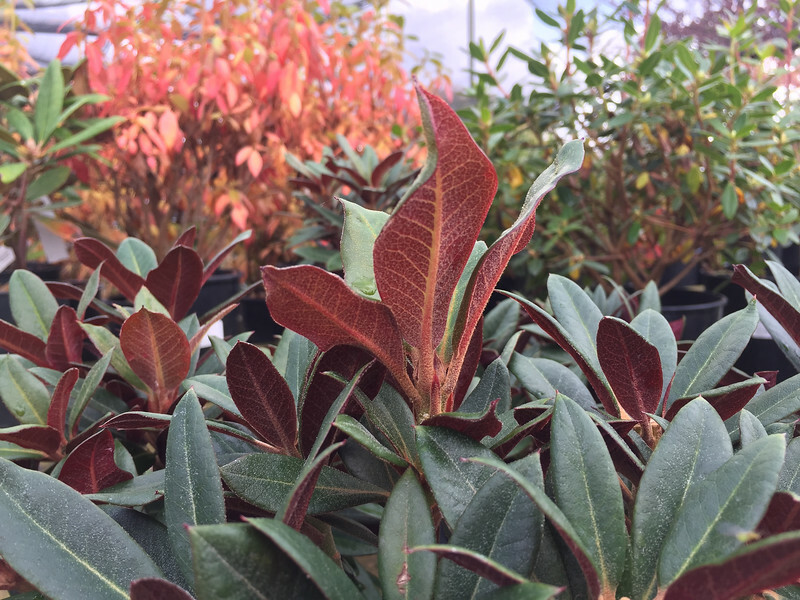 The red undersides of Rhododendron 'Cherries and Merlot' seem to like the return of cooler temps. Based on my experience, it'll get even redder by spring. 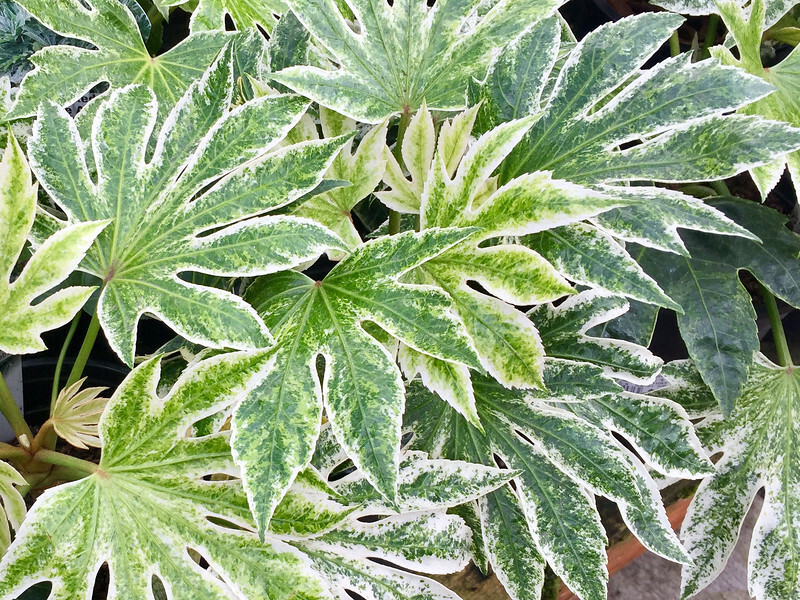 The fresh foliage of Fatsia japonica 'Spider's Web' will bring a shaft of light and brightness to the dark season. 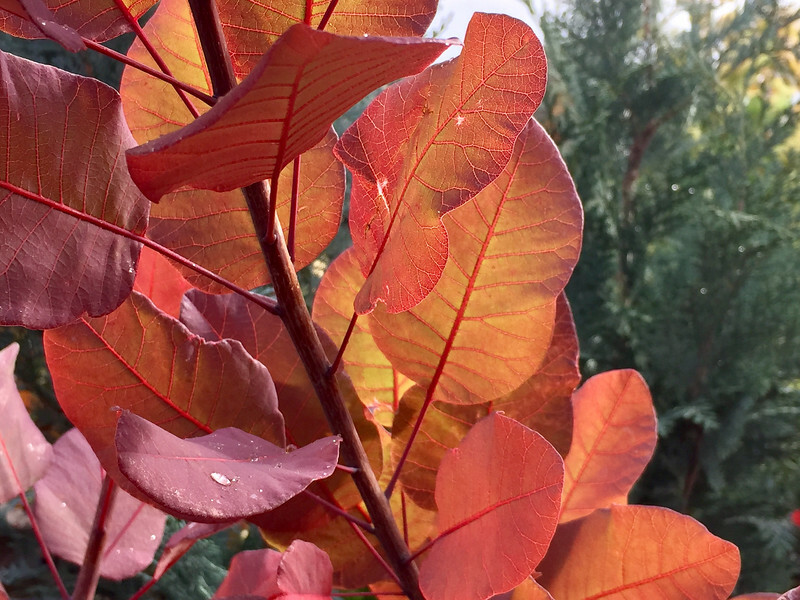 Backlit, the fall color of Cotinus 'Grace' is mesmerizing. 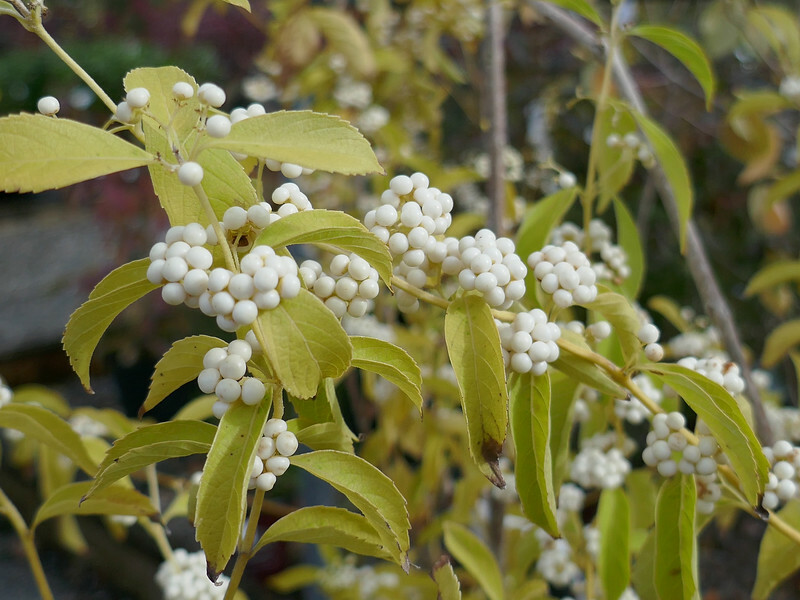 Callicarpa japonica f. albicacca is a white form of the beauty berry, and it's a beaut! 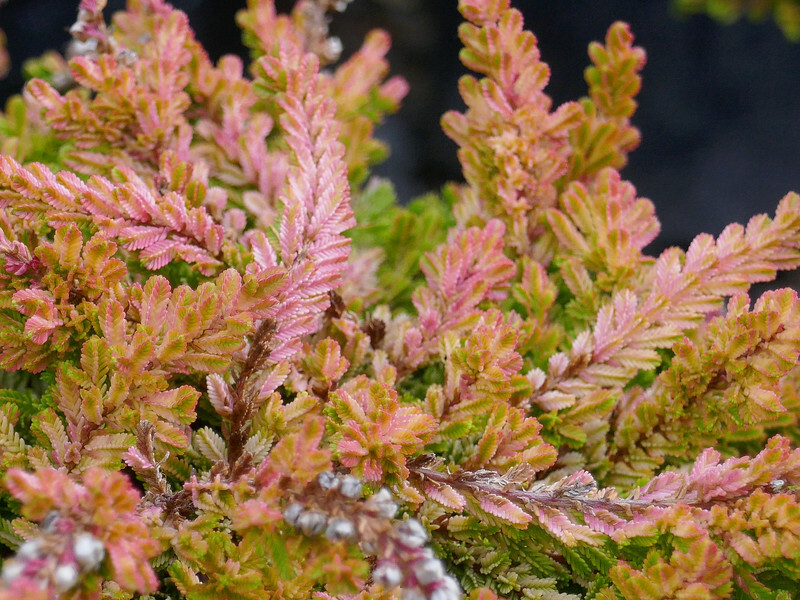 The first flush of changing foliage color on Calluna vulgaris 'Blazeaway'. 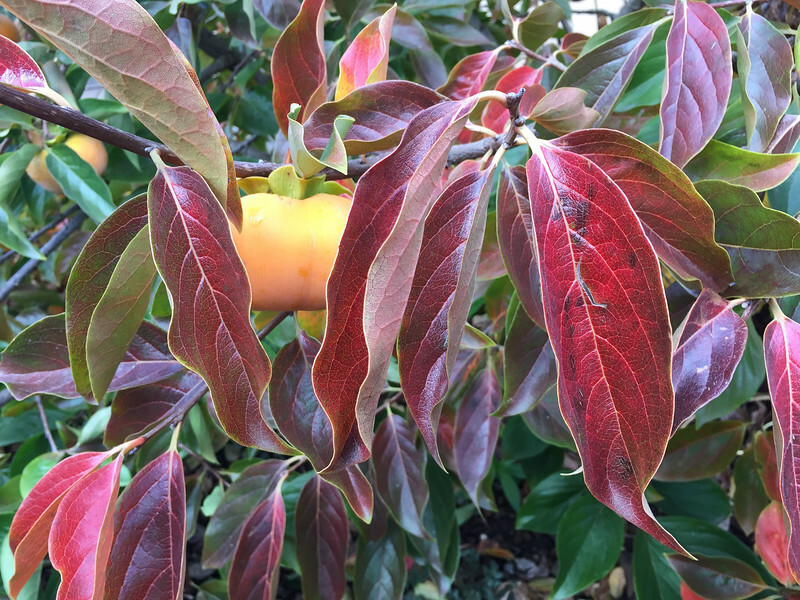 Known and grown mostly for its fruit, the persimmon tree is a standout in terms of fall color, from leaf and fruit.